Imagine your event headlined by Nicky Jam. How much buzz would booking Nicky Jam bring to your event? GTB helps customers Book VIP Shows, Corporate Events, & Private Engagements with top talent for hire. GTB represents clients as they book talent like Nicky Jam for their event. Click to start The Event Booking Process with Nicky Jam. 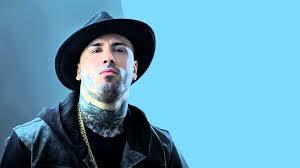 Born March 17th 1980 in Boston, Massachusetts, Nick Rivera Caminero is a Latin American singer songwriter better known by his stage name Nicky Jam. He has worked alongside some of the most respected and recognized artists in the industry including Enrique Iglesias, Yaga & Mackie, Hector & Tito, Daddy Yankee, R.K.M & Ken-y, and very many more. He has been signed to 7 different record labels such as Picoll, Guatauba Productions, Pina Records, White Lion Records, Jams Records, Los Cangris Inc., and Industria Incorporated. He has a humungous and loyal fan base and has cultivated over 15 million page likes on Facebook, and his music videos have been viewed hundreds of millions of times on YouTube and other online musical platforms. He has a very large catalogue of music including 7 albums that have been released along with a plethora of singles. Nicky Jam’s musical career began in the late 90’s as he released a solo album and multiple singles. That lead to him meeting Daddy Yankee and the two formed a duo known as Los Cangris. Together they created multiple hit tracks including “Guayando”, “Sabanas Blancas”, and very many more. In 2001 they released an album entitled “Haciendo Escante” which brought them much fame and catapulted their careers to the next level. After the duo parted ways Nicky began pursuing his career in the industry as a solo artist. Nicky has had much success as a solo artist and has featured on an astronomical number of reggaeton albums and currently holds the record for most appearances on various artists albums, a record previously held by Daddy Yankee. He has appeared on over 70 albums and continues showcase his talents and after an 8 year drought of solo album releases, the full length album “Nicky Jam Punto 7” is slated for release in 2015. Click for Nicky Jam Event Booking. Start booking Nicky Jam now! GTB is a celebrity talent booking agency for paid events. We do not handle media requests, or interviews. GTB will not relay messages to Nicky Jam or solicit donations on your behalf. While celebrities do donate their time, they will always charge some kind of fee to do any event, project, venue or celebrity appearance. Booking Nicky Jam Not Quite Right? We have the entertainer for your Event! Putting together a memorable event isn't easy. Booking Nicky Jam certainly raises the profile of your show or event. GTB is ready to help you make the event flawless, so your attendees remember Nicky Jam instead of a mix-up. Private Parties, Concerts, Ceremonies, and any other big events require both planning and personnel; Global Talent Booking can help you every step of the way, from booking to advertising a public Nicky Jam event. Should you prefer a private Nicky Jam showing, Global Talent Booking has the tools, connections, and expertise to help you manage a velvet roped evening, elegantly! Global Talent Booking has worked with exemplary talent for over 15 years. Booking Nicky Jam and other world class entertainers is our expertise. From private concerts featuring some of the most famous names in the music industry to corporate events DJed by the best in the industry, we excel at showcasing your image. GTB is ready to help you book your favorite musicians, djs, and celebrity talent; creating memorable entertainment experiences is what we do everyday. Global Talent Booking Agency services help you with event talent booking. Our services include talent scheduling, contract negotiations, marketing/promotions, agent and/or agency interaction, and so much more. We can help you book Nicky Jam, advertise a public event or help you manage the guest list. Our event booking services can even include the press work after your Nicky Jam event. Global Talent Booking is here to help you mind the details so your event with Nicky Jam is `World Class` the first time, each time, and every time. Our entertainment agency will work with you to put the right talent in the right situation world wide. Global Talent Booking is an International talent booking agency. If you are interested in an international Nicky Jam event booking, click here to get started. We know what it takes to organize events that exceed everyone's expectations, no matter where they are in the world. We look forward to helping book your`s. Click to Start Booking Nicky Jam. Celebrity Talent, like booking Nicky Jam, makes all the difference. Contact our Expert Nicky Jam Booking Agents. We are ready to help you start coordinating your Nicky Jam event immediately.